BTGA completed a feasibility study to assist in fundraising for a new Parish Hall and/or School addition for this large and growing parish. Engineering and code reports were compiled regarding existing facilities and a program developed with the Building Committee. A schematic design was completed. Design and system choices were estimated to yield a fundraising budget. 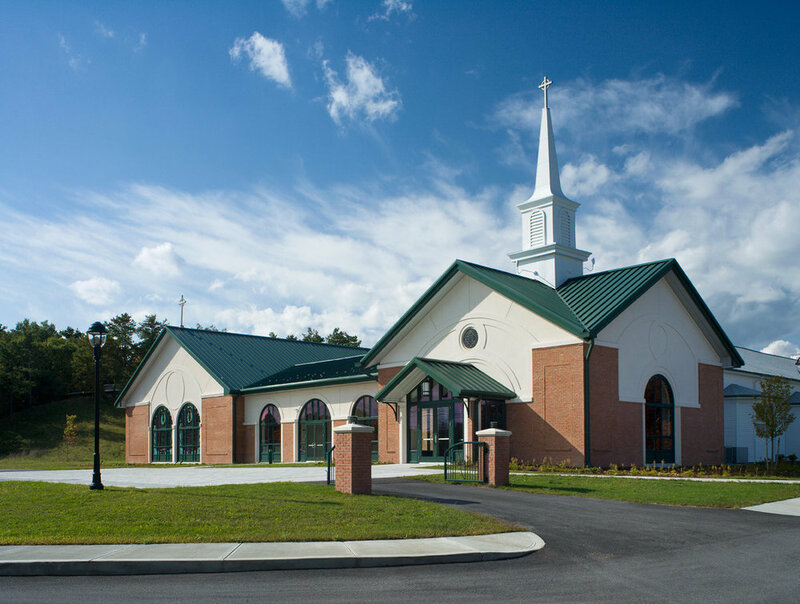 Construction is now complete on a parish hall addition (plus kitchen) that seats 300. 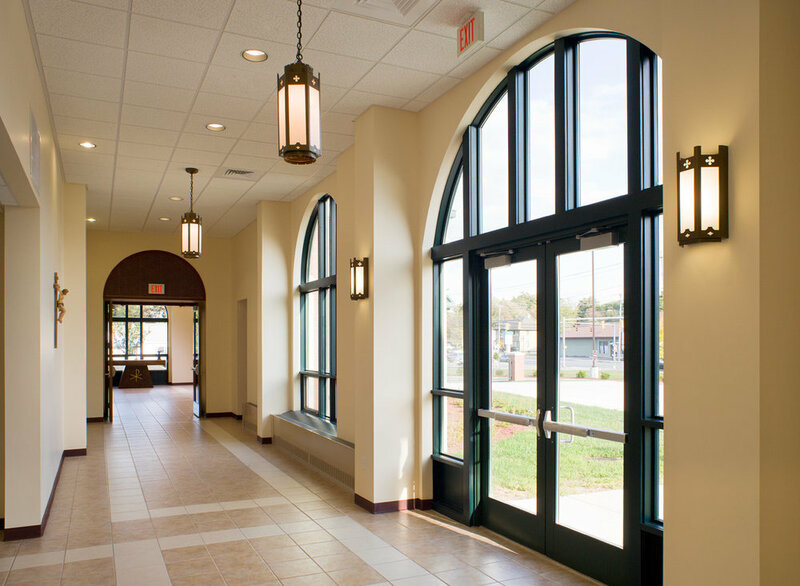 The addition includes a connecting wing with children’s classroom, gathering space entry, courtyard, expanded sacristy, mechanical rooms and new bathrooms. The work included fire alarm and sprinkler upgrades for both new and existing buildings. 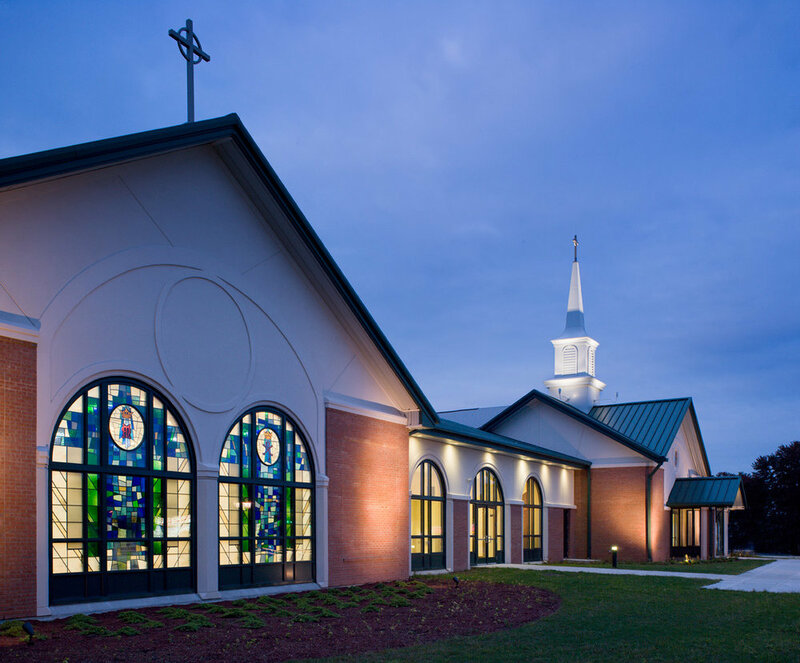 The addition provides a new presence appropriate for a growing Parish of more than 4,000 families along a very busy main road. The site included new parking lots, utilities, and reconfigured access drives/entry.